Imagine this: a medical doctor who is a qualified personal trainer, has a master’s degree in public health, has a special interest in nutrition, who is the team doctor for York City Football Club, and who is now an entrepreneur! Yes, this amazing skill set is possessed by the brilliant Dr Asif Munaf. And yes, I have skill-set envy right now (if there is such a thing). 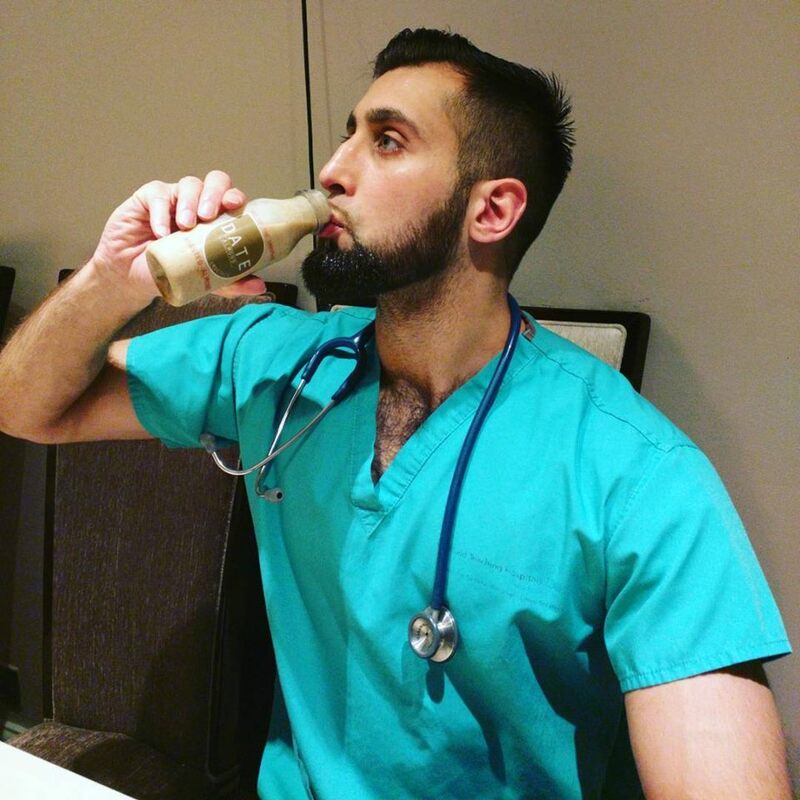 In 2016 Asif and his wife founded DATE Smoothie, a line of healthy smoothies based on dates, nuts and seeds. When Asif and his wife first sold their smoothies at the Sheffield Christmas markets, they sold out three times in the space of one month!! 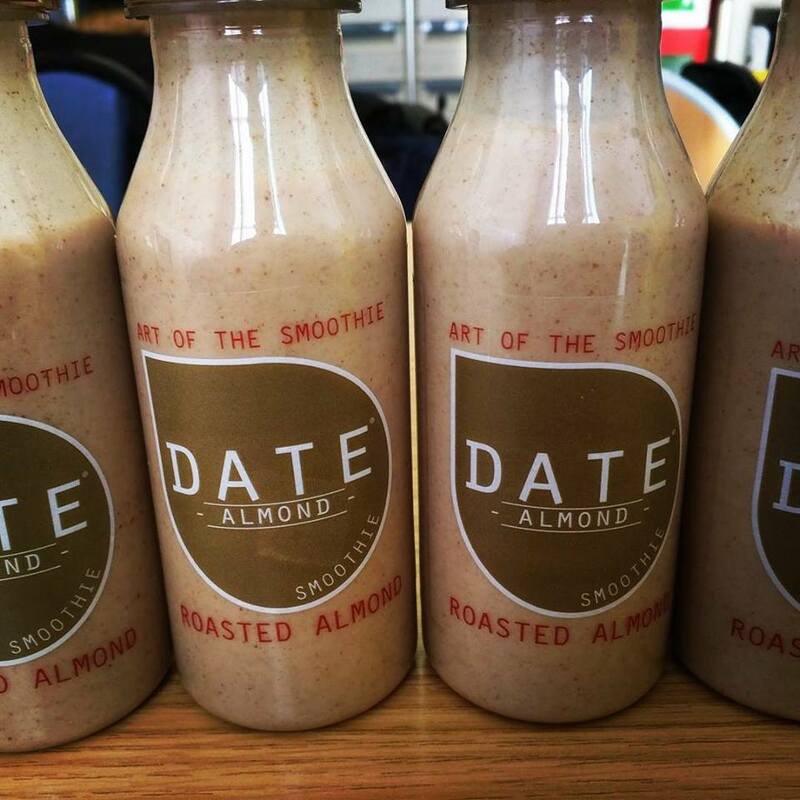 Also, DATE Smoothie was voted one of the top 20 most innovative food and drinks brands this year by Innoveat (a UK food exhibition for the travel sector). I had the pleasure of meeting up with Asif in London last month. We had a great conversation about DATE Smoothie, medicine, and our future aspirations. He struck me as being a warm person with a very big heart. I left our meeting inspired by his positivity, determination and confidence. Asif represents the new generation of doctors who are multitalented, who think outside the box and who are not afraid to take risks – my kind of person! Please read my awesome interview with Asif below and do support DATE Smoothie by buying a smoothie and following them on social media. Here are the links: Website, Facebook, Twitter, and Instagram. MSA: So tell me a bit about yourself. I’m interested to know where you’re from and how you were raised? MSA: Wow! That’s amazing. What attracted you to medicine? ASIF: Medicine was my second choice. I wanted to play cricket actually because I was good at it. I was selected as one of the top 6 players in Sheffield at the age of 14-15. I lacked the social and cultural capital that other middle class white kids had, in that they had their fathers with them taking them to trials in different cities and countries. My father had 5 other mouths to feed and he had to do what he had to do. So I concentrated on my studies. I would spend 16-18 hours studying. I’ve always been quite empathic and quite compassionate with people, and I was good at science. I wanted to combine science and academia with an ability to speak to people, to make change and to help people. Medicine is a marriage of science and art, so I was quite keen to do that. I went to Medical School at York. I spent 5 years there, and I also did a master’s degree in Public Health between my 4th and 5th years. I really enjoyed my master’s. I learnt about aspects of nutrition, obesity and how government messages are falling on deaf ears. I realised that if you really want to make change as doctor you’ve got to take a step back and have a public health approach instead of just a patient centred approach. I thought, when I become a doctor one day I’m going to really combine public health and medicine. MSA: I know that you are you are currently a core medical trainee (CT1) but are planning to apply for Sports and Exercise Medicine speciality training. When did you become a personal trainer? Do you still have clients? ASIF: I will apply for the Sports and Exercise training programme in February next year; and it takes 5 years to complete. I can’t wait to get on that programme! That’s were my calling is – in sports and exercise medicine, treating athletes. It’s a marriage of my profession and my passion. So I worked as a Foundation 1 and Foundation 2 doctor. Then after Foundation 2, I took a year out, I got married, and I travelled the world. The travelling part was where I saw that the juicing and smoothie culture in other parts of the world were so much more developed than in the UK. In the UK, I saw rising levels of obesity, rising levels of sugar in drinks, and rising levels of diabetes. Then I thought, I need to do something about this. So after Foundation 2, I did Foundation 3 and Foundation 4 years, where I worked as a locum doctor in the Accident and Emergency department and at the same time I did my personal training qualification. I completed it last year and I’m one of the handful of doctors in the country that are also qualified personal trainers. I’ve got no clients at the moment; I was planning on advertising in January but the business [DATE Smoothie] has taken off and I can’t do 3 jobs. MSA: I also like the fact that you are the team doctor for the York Football Club. How did you get into that and how often do you do this? ASIF: The position became available last summer and one of my friends was a GP. He was doing some of the drop in clinics for the York players. The York team’s full time doctor had retired, so the opportunity became available and I applied. I do it once every 4 weeks on the weekends. At each game there’s two doctors – a team doctor and a club doctor – and we alternate. MSA: I read that a lack of healthy snacks while travelling to Bangkok led to you create DATE Smoothie. Tell me more about how it all came about? ASIF: So DATE Smoothie came about as a result of my master’s, travelling, and my interest in health and exercise. At the Bangkok airport there was a scarcity of anything filling (with fibre and protein). Everything was sugar laden, all the smoothies and so called healthy drinks were all dairy products. Nothing had a low glycaemic index that would keep me full for a long time. So I thought wait a minute, I’m making smoothies myself and adding peanut better, chia seeds, kale, spinach, flax seeds, etc. ; why is no one making smoothies as a meal replacement? You just get post workout or breakfast drinks. As a doctor, as a qualified personal trainer, as someone who had travelled and seen these trends across the world; as someone with a master’s in public health, I understood how far a sweet tasting smoothie with protein, fats, and carbohydrate could go. The results would be conspicuous in 5-10 years time if I launched a product, marketed it in the right channels, and if I become the brand ambassador. So I set out to do that. I decided not to label my products with words like ‘super foods’ or ‘antioxidants’ – I hate that stuff. There are people who use such words and don’t even know what it means! The wellness industry is full of privileged, middle class women, with lovely English accents, but what are their credentials? Some may get an online nutritional diploma and call themselves a nutritionist. I’m a qualified medic who is passionate about food. If anyone can change this fad industry it will be me and there needs to be more people like that. A few weeks ago in the guardian, a Cambridge neurophysiologist, went to visit a lot of these so called ‘health gurus’ and found there’s no substance to what they are saying. He exposed them for what they are. Now it’s our time as doctors to step up. Next year when the sugar tax comes in I’m hoping that DATE Smoothie can take the market by storm. MSA: After attending the Alternative Careers and Wellbeing Event for Doctors in October 2016 you decided to launch your product. What was it about the Alternative Careers and Wellbeing Event (ACW) that inspired you? ASIF: The main thing at the ACW event was seeing how diverse the community of medics was. I was at a low point in my life. I’d just done my MRCP exam Part 1 (Membership of the Royal College of Physicians exam) and I had spent 2 months studying for it. 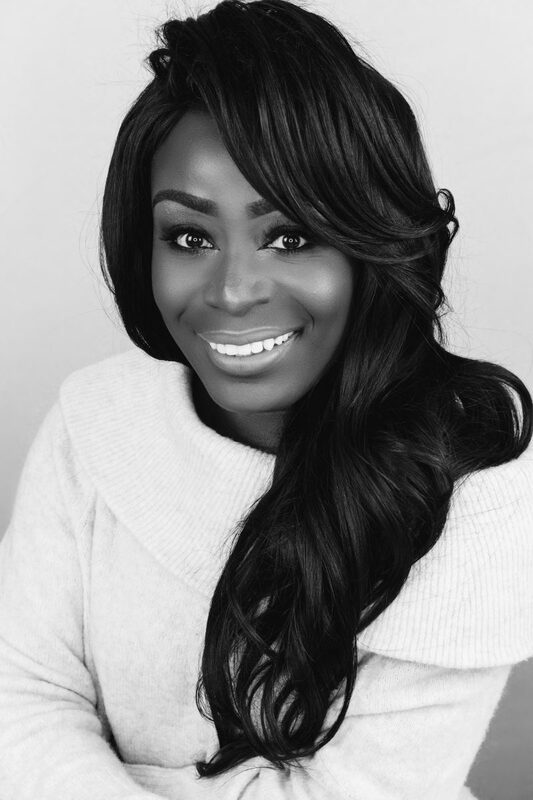 I heard about you, I met guys from Derma Medical, Abeyna Jones, and a doctor going into property; I met a lot of medics who were branching out, diversifying with an entrepreneurial flare and having portfolio careers. And I thought, brilliant, that’s just the inspiration I needed. We medics think alike, especially this new generation, the ‘millennials’ as they say. We think in a positive, entrepreneurial and creative way. Some medics are now doing MBA’s which never happened before. One thing I did find was that a lot of medics were going into dermal fillers and cosmetics, and I saw no doctors using their medical knowledge of nutrition and public health to make a product. 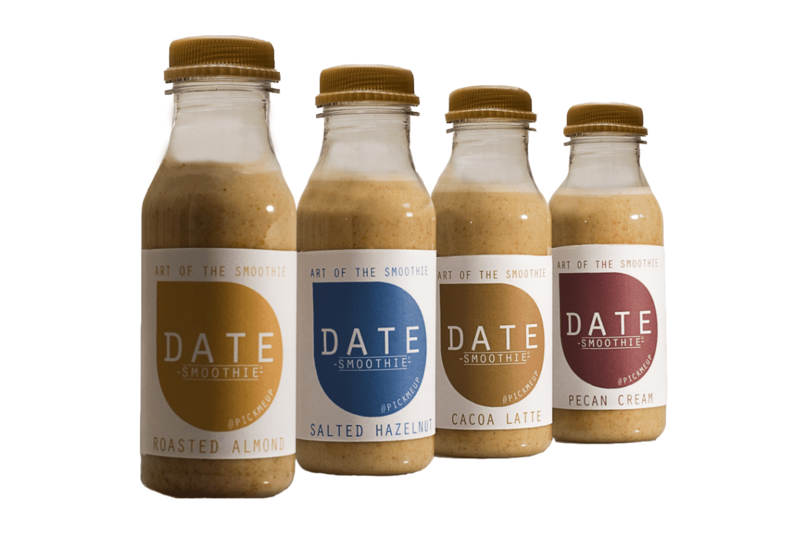 MSA: I’m interested to know the steps you took to turn your idea of DATE Smoothie into a fully fledged business? ASIF: It started from very humble beginnings. I had a blender, called Active Blend, and I was making smoothies for myself. And then when the eureka moment came it was black Friday, the stars aligned and everything happened at the right time. John Lewis had a commercial blender on sale for less than half price so I bought it. Since then, the rest is history. I started making more recipes. I went to the ACW event in the beginning of October, and then in November the applications opened for the Sheffield Christmas markets. You won’t believe this story: so, I had a business partner and we spent a lot of time and effort to get the business up and running. He was working in an IT company. He couldn’t bear the burden of having two jobs, working a 9-5 then coming home to work on branding, ingredients, target marketing, and general research. I was pulling it alone. Then my wife (a lawyer & makeup artist) saw me working by myself. She’s creative, so she refined the recipe – she’s used to mixing palettes with her makeup. So on a Thursday I said to her that we’ve got to attend the Sheffield’s Markets that Sunday. We didn’t have a logo design or anything. So everything was done in 48 hours. The labels were designed on Friday, I printed the labels and we labelled the bottles ourselves. On Saturday she perfected the recipe and then on Sunday we were trading and we sold out on that day. We went back a second and third time during December, and we sold out again. We got our products tested for allergens and tested for chemical analysis, so that what we say is true. We also had the extended shelf life tested. We got a trademark for the bottles and for the name. In the beginning of this year we launched our website. Then we got orders from all across the UK and since then it’s just taken off. The Sheffield Star, the Sheffield Telegraph and the local media have been in touch. It’s been beyond our wildest dreams. MSA: That’s brilliant! You could use any ingredient to make smoothies, so why did you settle on dates? ASIF: I’ve always used dates. The smoothies originally started when I was fasting. I wanted something with a low glycaemic index and slow release energy while fasting, because I was a fasting for 18 hours during Ramadan. 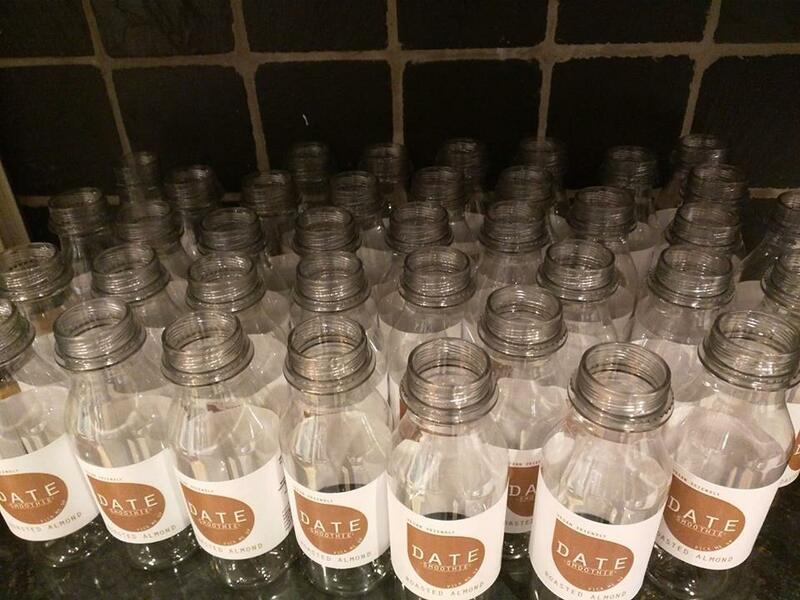 So I thought dates would sweeten the smoothies. Dates contain fructose which doesn’t give you an insulin spike because it’s a monosaccharide. And the dates we use are Medjool dates only found in the Middle East, in Israel and Syria. They are juicy, succulent with a natural taste of caramel without the insulin spike. As a doctor it sits well with me. DATE stands for Dr Asif’s Thoughtful Eating. It’s an acronym, so a play on words. We use dates as a natural sweetener but at the same time I want DATE to be a brand. MSA: Your smoothies contain Mylk, what it is? Is it coconut based? ASIF: No, it’s almond and hazelnut milk. I’ve kept it generic but we are thinking of other lines. There’s a population of people with lactose intolerance, including myself, I get horrible gas from cow’s milk. More Asian children have it than the general population. I wanted to make smoothies that I and my family enjoyed. MSA: Do you make the DATE Smoothies yourself? If so, how do you plan to keep up with orders as your business grows? MSA: Are your smoothies stocked by any shops so far? ASIF: No, we are online only. But I’m thinking of supplying supermarkets, such as Sainsbury’s. At the moment we don’t have a designated courier, but once we outsource it the manufactures will sort out the logistics of that. MSA: I saw on your Facebook page that DATE Smoothies was voted one of the top 20 most innovative food and drinks brands this year by Innoveat. How does that make you feel? ASIF: It does feel amazing. Innoveat do airline and hotel foods. They are very cutting edge, so a lot of foods start off there and then they go mainstream. Innoveat actually head hunted us; they saw the press articles and our products. Then we sent them our smoothies. It was a shock, I couldn’t believe it! It’s been surreal. MSA: That’s amazing since you only started your website in January! Well done! Medical training in the UK has not really encouraged entrepreneurship, so I’m interested to know what the responses have been from your supervisors and colleagues? ASIF: Medics can be quite dull and very one dimensional, with no flair or charisma. There’s a lot more to them than just medicine, but they are just in a rat race so they don’t get the concept. They like the product and I’ve tested it on them. In the hospital people know me as the smoothie doctor! But entrepreneurship generally is frowned upon by medics, they see it as distracting from clinical work. Please rest assured that medicine and my patients come first. I’ve taken an oath and spent 5 years becoming a doctor and I will never jeopardise my medical degree. Then DATE Smoothie comes second. I only come to DATE Smoothie related events on my day’s off, and when ward cover is ensured. There hasn’t been any negative feedback from my supervisors, I guess because my clinical work has not suffered. I’ve passed my MRCP exam the first time and the first time pass rate is about 30%; most people resit this exam. If I put my mind to something I will focus on it like a laser. MSA: What’s the biggest lesson you have learned from launching your own company? Any mistakes? ASIF: The biggest lesson is to prioritise; don’t do too many things at once. That’s what happened with us, we tried to do many things at the same time. Also, get help early on; get a business mentor. As doctors we’re very reluctant to seek help and we’re very self-sufficient. I’m reluctant to call my consultant, because I think I can handle it. But in business we are novices. I don’t have an MBA. I should have gotten a mentor earlier, but I have one now who guides me in my decision making. He also guides me in what I should or shouldn’t say to the press. I’m not media trained. I’m from Sheffield, from the streets, and having someone to represent me and to fall back on has been a big lesson. MSA: What advice would you give to yourself 5 years ago, in light of the knowledge and experience you’ve gained from becoming an entrepreneur? ASIF: I should have been braver back then, because in 2008 I had an idea of the healthier version of Subway. I was a 3rd year medical student then with exams coming up and wondered, how do I materialise that? I should have been braver because now medical students are coming up with apps and other ideas. But as I said earlier it’s about a reluctance to seek help. I should have gotten a mentor then and pitched my idea to someone who believed in me and I could have made it. But now I’m so keen to seek help. If I need a lawyer for patents, a PR adviser, or graphic designer etc., I’d get them in an instant. I can’t pull myself in too many different directions. MSA: That’s really sound advice. I must confess that I often fall into the trap of self sufficiency which is not wise. How do you make DATE Smoothie work with your medical career, personal training, marriage, and other interests? It must be quite the juggling act! ASIF: My relationships have suffered and my marriage suffered a bit. It’s been difficult meeting demands because it’s just me and my wife. The stress has been unprecedented. I work 12 hour shifts, then come home, make smoothies, do marketing, etc. Every day I sleep at 1 am. Sometimes our orders are a week late and I have to apologise and give free delivery as a good will gesture. If I’m honest there is no ‘me’ time. I guess going to the gym is ‘me’ time. I try to go 3-4 hours a week, even if I finish work at 10pm I go to the gym regardless. Sometimes you have to say no to things. You can’t say yes to everything, so you have to prioritise. You have to be laser focused on your goal. I haven’t seen some friends for weeks and weeks. It’s a sacrifice I have to make and I’m willing to make it. I’m 28, by 30 I want to be a millionaire. MSA: What motivates you to keep on going because you are considered to be a success already (you’re a doctor, you’re married, and you have a business) yet you keep on striving for more? Do you really have to push any further? ASIF: My father told me that success is a journey not a destination, so you never end, you never rest on your laurels. So you continue going. I said to my wife that I’ll sleep when I’m dead. I’m packing in as much as I can and trying to get as much as I can out of life. I’m trying to wear as many hats as I can, open as many ventures as I can, and explore new fields as much as I can. It’s good to branch out as opposed to doing only one thing. I was the eldest of 6 children, I came from a council estate in a very deprived area, and I was in the lowest performing constituency in the country educationally. But, I converted all of that into positive energy. You know what they say: you can be in the gutter but you can still look at the stars. If you are in a mansion you can’t see the stars because the roof is blocking you. MSA: I can see you as a motivational speaker! You remind of my parents who came from nothing but became successful. Life was hard but they made it. Sometimes not having everything when you’re young helps you to continue to strive for success. What other products are you hoping to bring out in the future? I can see snacks and meals being an obvious extension of DATE Smoothie. ASIF: That is the plan. Hence why we called it Dr Asif’s Thoughtful Eating; I kept it really open. At the moment I have an idea in mind to incorporate foods and snacks with the smoothies, but patent pending. So watch this space. That would take the market by storm. I don’t want fame, I want education for the public. MSA: There will be people who are going to read about your story, people with similar ideas for a business and wondering what they should do. What would you say to them? ASIF: Follow your gut instinct. Go for it. Speak to the ones nearest and dearest to you and they will give you good feedback, and then you can release it to the world. Then go for it. Follow it and never give up. You will have up and down days, but see yourself in 5 to 10 years; don’t see yourself as you are now, see yourself in 5 to 10 years as a business owner, an entrepreneur and as an inspiration. 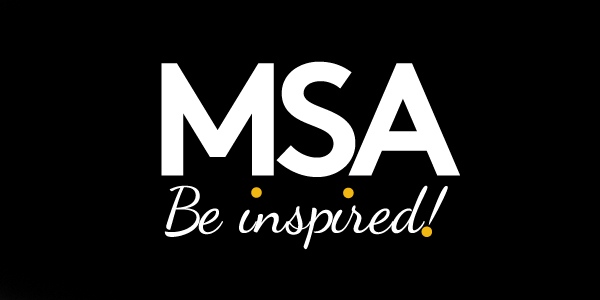 MSA: You have so inspired me! Seriously, what you’ve had to say has been really, really good. That was an awesome interview. Thank you! Asif is truly a remarkable individual. When I first read about him online I wasn’t having a good day, but his story literally motivated me to get out of bed! Asif’s story illustrates the necessity of building a life and career that one is passionate about, because without passion it’s difficult to make the sacrifices needed to achieve the impossible. Despite coming from very humble beginnings he has turned his negative circumstances into positive outcomes; he has the mindset of a winner. Asif has inspired me to dream very big, to take risks and to work hard in order to achieve my goals. I hope that you are inspired to take steps towards the life you’ve always dreamed about…..it might just be beyond your wildest dreams. I Love this guy! See is as it is, say it as it is and DO something about it! I am inspired and fired up to keep going, to dream big and to DO! I agree MSA, sometimes I too try to be self sufficient when I could be even better if only I reach out for help and support! Thanks for this amazing story; what a lovely way to launch the weekend which will be free of sofa surfing!